Take a closer look at our polyester braided cord range at PT Winchester, it’s a tough product, and made from the highest quality materials. We stock a wide selection of pre-shrunk braid at the best possible prices, this cord is UV resistant, strong and durable, plus it’s equipped with an 8 plait core, which helps to retain the profile. All of the cord within this range has been heat treated to preserve the life of the product. You can wash it, clean it, and you won’t have to worry about shrinkage, this is minimised, to give you longer product life and plenty of usability. 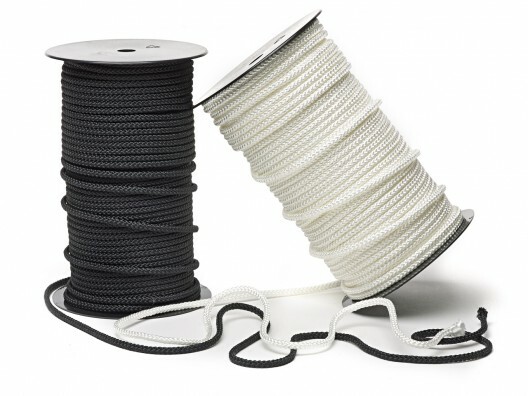 This tandem construction polyester braid is available in a choice of widths, ranging from 1.0mm to 10.0mm, and supplied on 100m reels for customer convenience. It’s a popular type of cord, and used for countless applications, in particular, it’s very effective for the marquee and tent manufacturing industries. Ordering this general purpose cord is easy through our simple-to-navigate website, whilst our helpful sales team are always willing to answer any queries you might have. 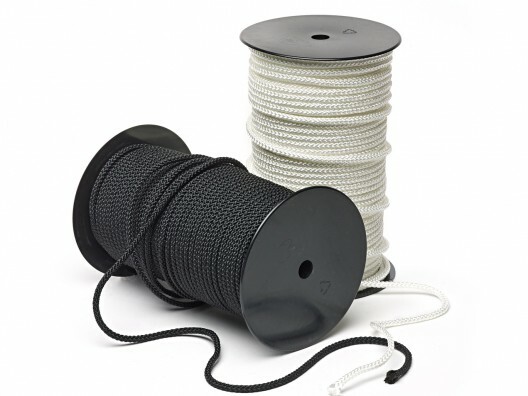 Please contact us should you require details about polyester cord, you can place orders online, or to speak to somebody in person, the number to dial is 01823 431885.